In the grocery store I came across an organic buckwheat pancake mix that rendered me curious. I've never eaten nor heard of the stuff and wondered to the taste: I expected it to be 'earthy,' maybe a little dense, and when I had my first batch I was surprised it was edible. Ideally I'd make my own home-made batter, but I couldn't imagine myself utilizing buckwheat in too many future recipes. I felt that the foundation in place may serve well for this recipe: an easy-to-make Pineapple Buckwheat Muffin. With a few tweaks came this moist muffin, which may lead to future switches in batter (buttermilk, wheat, gluten-free) and an endless possibility of mix-ins! Whisk all of the dry ingredients with vanilla, oil, egg, and up to 1/2 cup milk until smooth. 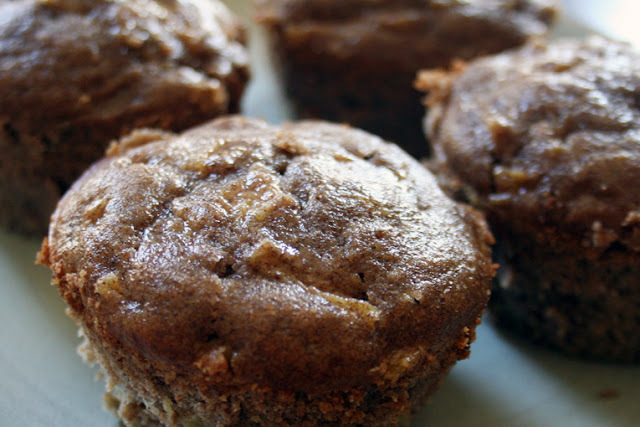 Fold in crushed pineapple and pour batter into a greased muffin tin (or cupcake cups). Bake at 325 degrees for 25-30 minutes. 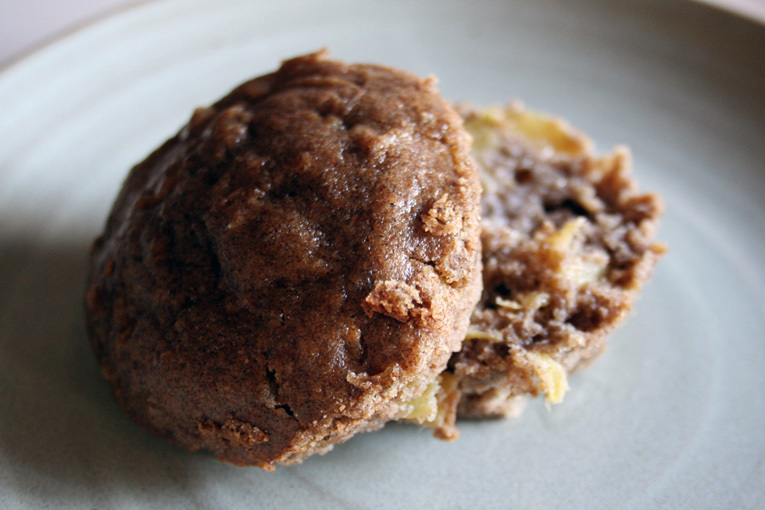 I found the buckwheat to be bitter, but in the above recipe the resulting muffin remained moist and lightly sweetened. The sugar and pineapple helped to balance the concoction, so please keep this in mind if using buckwheat with raisins, nuts, or another earthy mix-in. For a quick bread, this recipe may work just as well in a loaf pan.